The employee confidentiality agreement is what the employee gets into when joining a company, so they never disclose anything about the company, to the outer world or other competitors etc. 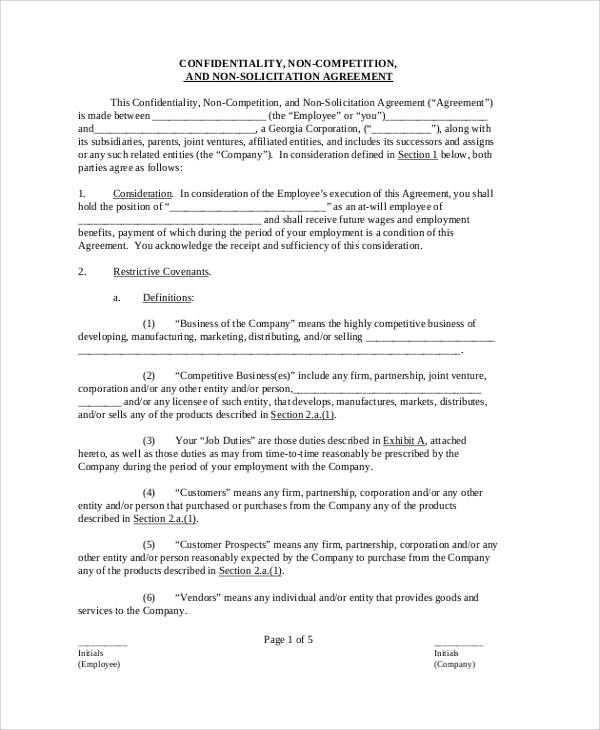 Every employee has to sign in such a contract while joining, and the exact format of this agreement help the companies. 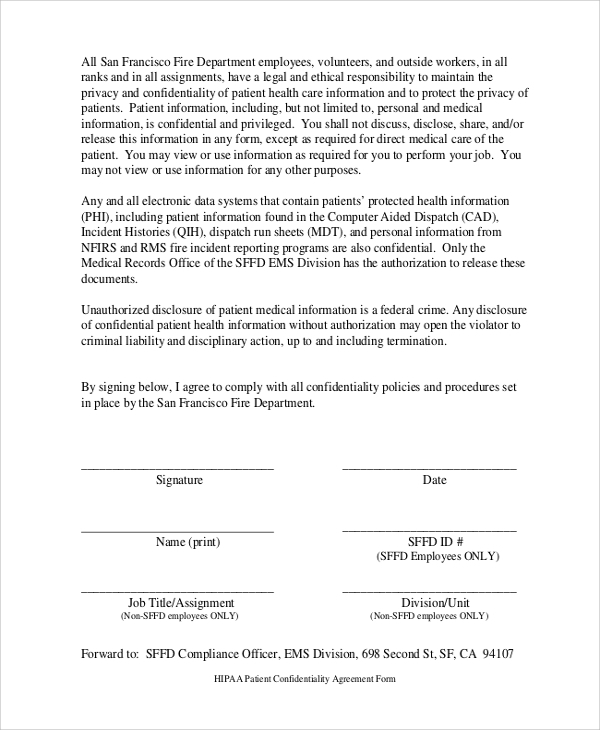 The patient confidentiality agreement form can be made to sign by the hospital or doctor or other medical staff etc; by the patient party. This is done to guard the private information of the patient from public disclosure. Patients in critical problems, patients who have a social influence etc; can get into such an agreement with their treating medical facility. 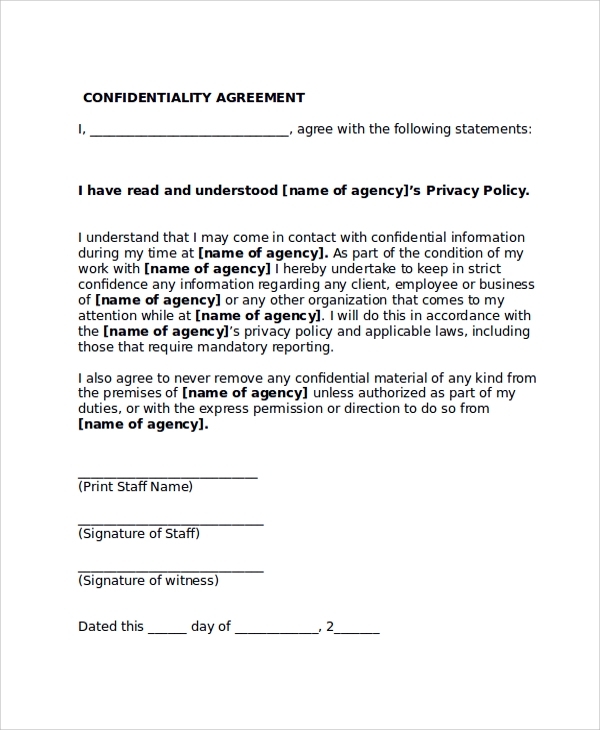 The confidentiality non-disclosure agreement form is one of the basic or general formats that can help any individual or company make an agreement by refereeing this standard format. This is to compare, and also use when you have no other source or help to make an agreement. 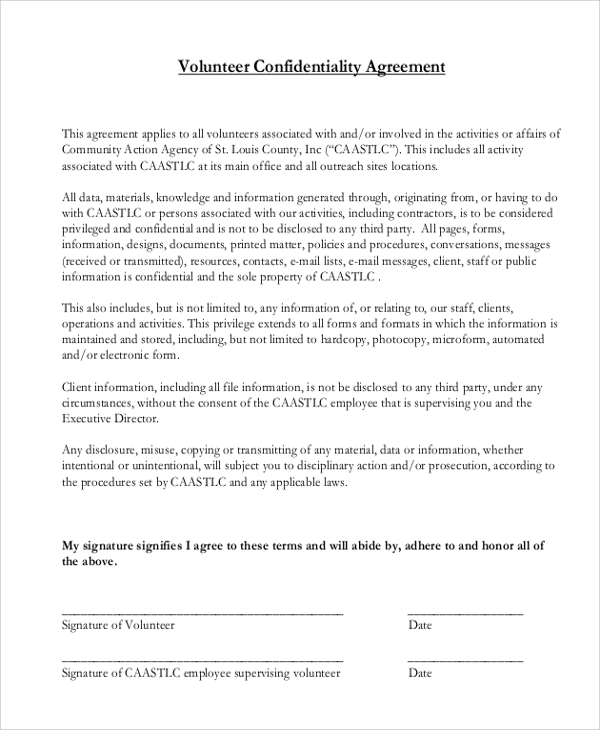 What is sample confidentiality agreement form? 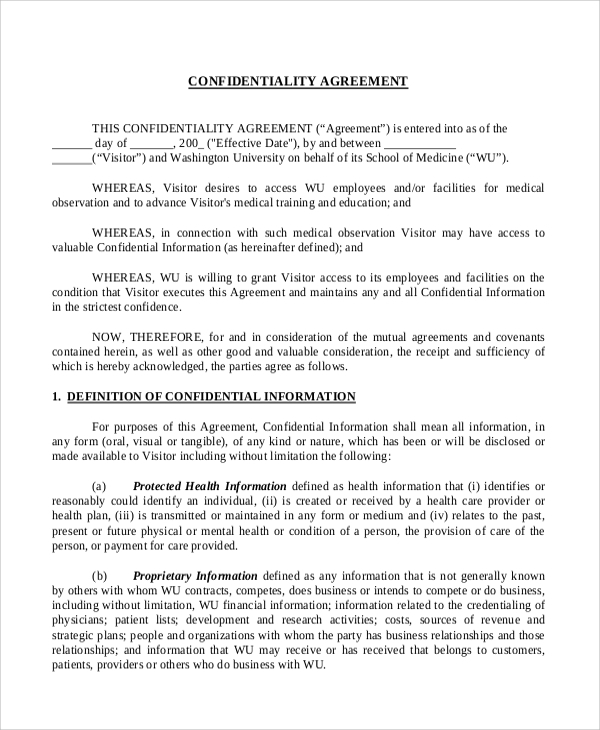 A sample confidentiality agreement form is a standard form you would certainly like to use for either comparing what your lawyer did to make your confidentiality agreement papers, or to make one yourself. The agreement is one secure document that legally safeguards the privacy of the individual group, business etc. Therefore if you are concerned about your privacy maintenance, you must think of getting into this agreement while dealing with a second party. The samples available are just templates to help you build your own agreement draft without the help of other sources. The main use of confidentiality agreement form is giving a legal backing to any privacy related problem or complication. Once the parties enter into the agreement they won’t be able to get out of it, and hence any sort of violation of the agreement can really land up into the court. 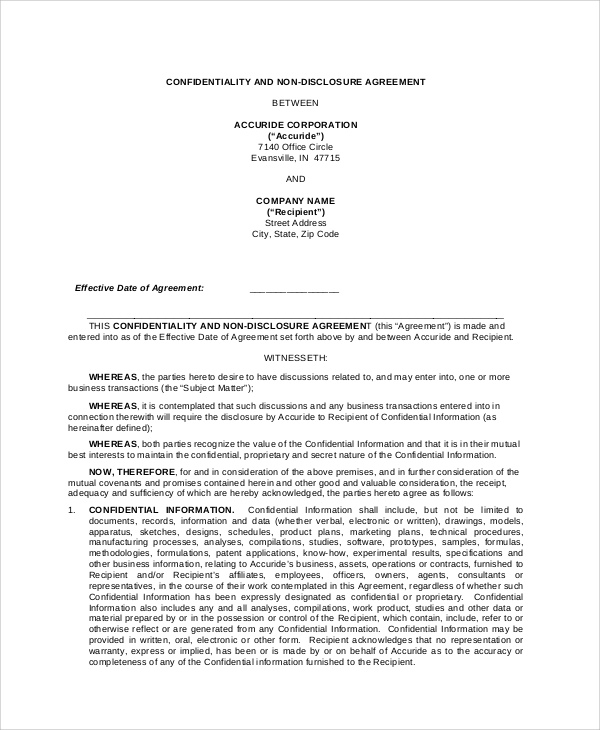 This is one kind of security for the privacy of confidential information that the party entering the contract may enjoy through the tenure of the agreement.You can also see Sample Financial Confidentiality Agreements. The purpose of using the samples is just to make an agreement smoothly and flawlessly while abiding by the globally accepted official and legal standards. You can either depend on lawyers or get these samples to consult dually before registering the contract. You save time in making of the agreement which is otherwise a lengthy and complicated process involving lawyer work, several drafting and checking etc. Making of an agreement, which is actually a complicated legal process, can get really simple, and can be done quite systematically, and in steps, when you have the samples to refer to. 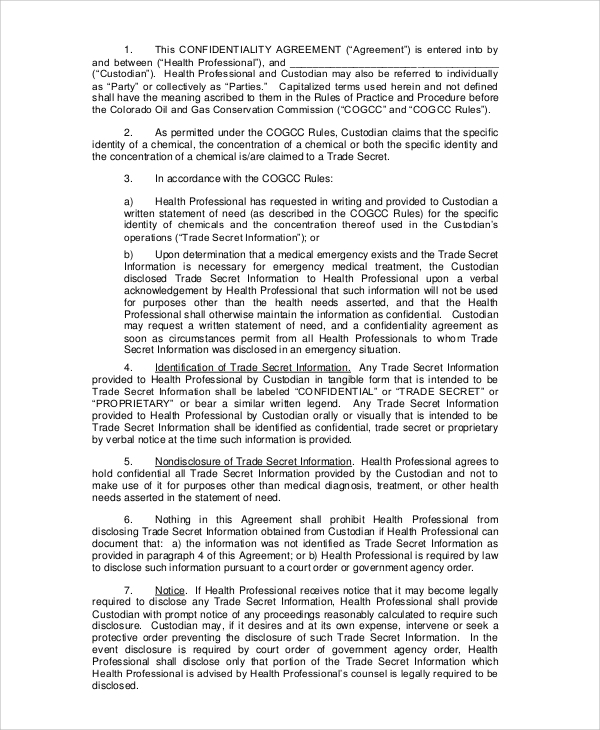 The Sample Vendor Confidentiality Agreements and normal confidentiality agreement are some rich formats available free for use on online.